It does not seem to be a Paramount project after all. It seems to be Kidzania? I have news about this one. Will post it very soon! 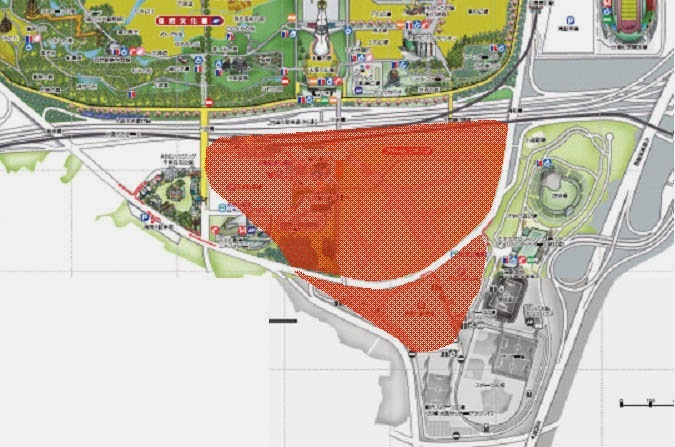 The area shaded with red will be the location. And the image below is the plan. Arigato to this website http://woglogjp.blogspot.com/2011/06/blog-post.html. ...but Google Earth says the image is from 2008! Dec. 1 (Bloomberg) -- Viacom Inc.’s Paramount Pictures may build a theme park in western Japan near Osaka, the local government said. 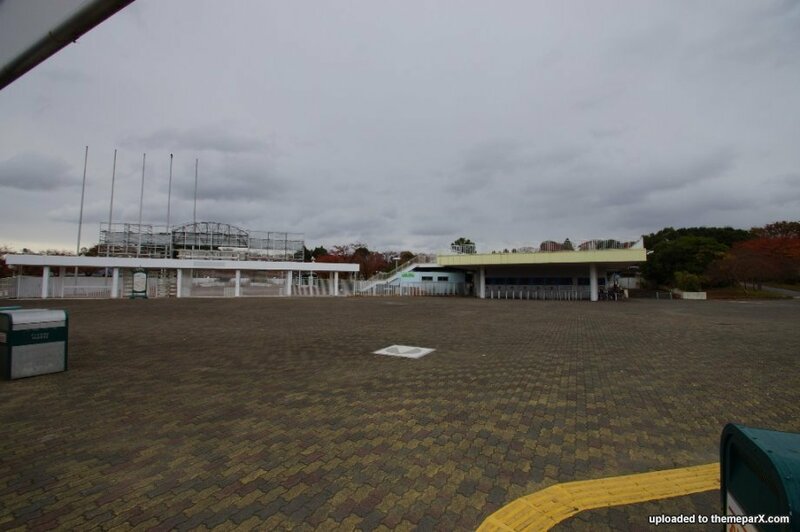 Osaka Governor Toru Hashimoto has spoken to Paramount about a proposal to redevelop the Expoland amusement park site in the city of Suita, Yasumi Kitao, a spokesman for Osaka prefecture’s planning office, said by telephone today. Paramount’s Japan unit didn’t know whether its U.S. parent had been in talks about a proposal, spokeswoman Rie Matsuo said. 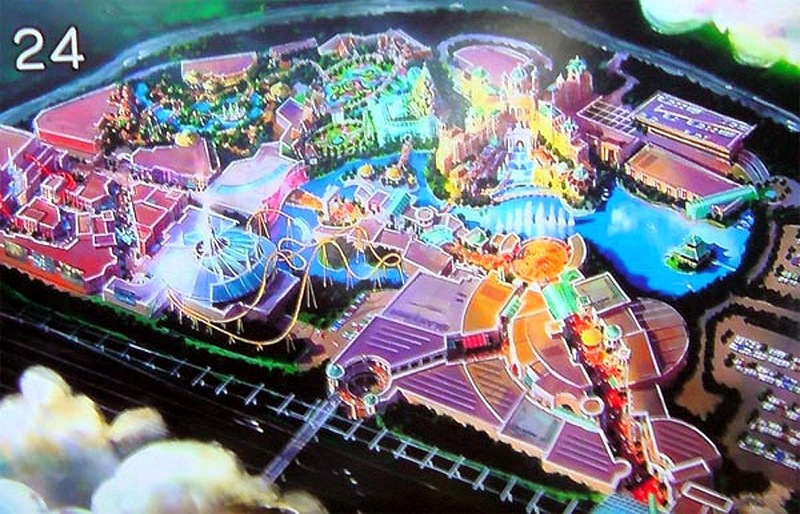 A Japanese Paramount Pictures park would join Disneyland and Universal Studio resorts in the world’s second-largest economy. Attendance at Tokyo’s two Disney parks, operated under license by Oriental Land Co., is forecast to reach a record 26.5 million this year, even as the economy enters a recession and households pare spending. 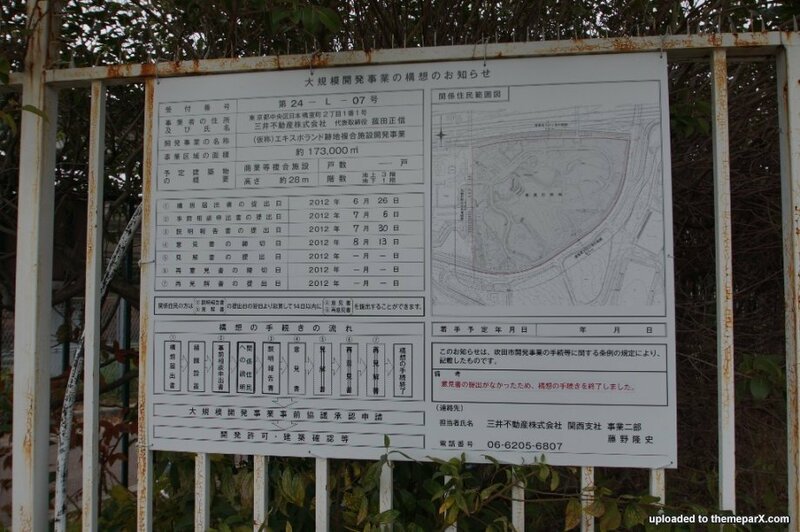 Paramount Pictures approached the Osaka government about redeveloping the 20-hectare Expoland site in August, the Daily Yomiuri newspaper reported today. The operator of Expoland has filed for bankruptcy protection, the report said. The talks follow an announcement by Daewoo Motor Sales Corp. in May that it was seeking 1.5 trillion won ($1.03 billion) to build a Paramount Pictures resort in South Korea. USJ Co., the operator of Universal Studios Japan, slumped 8 percent to 32,400 yen in Tokyo today. The theme park opened in Osaka in 2001. The Topix index declined 0.9 percent. 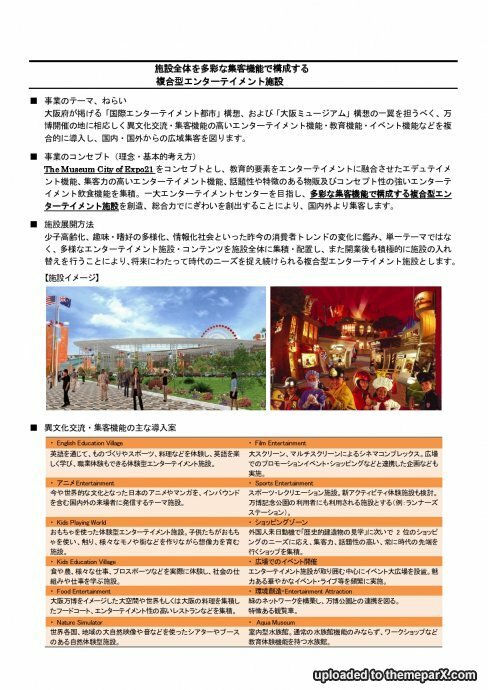 In October, Oriental Land abandoned a plan to open an indoor entertainment and shopping complex with Disney in a large Japanese city other than Tokyo after an 18-month study found the project wouldn’t be profitable. The Japanese company, which opened Tokyo Disneyland in 1983, would continue to seek opportunities for new resorts in Japan, Executive Vice President Akio Nagaoka said in an interview last month. 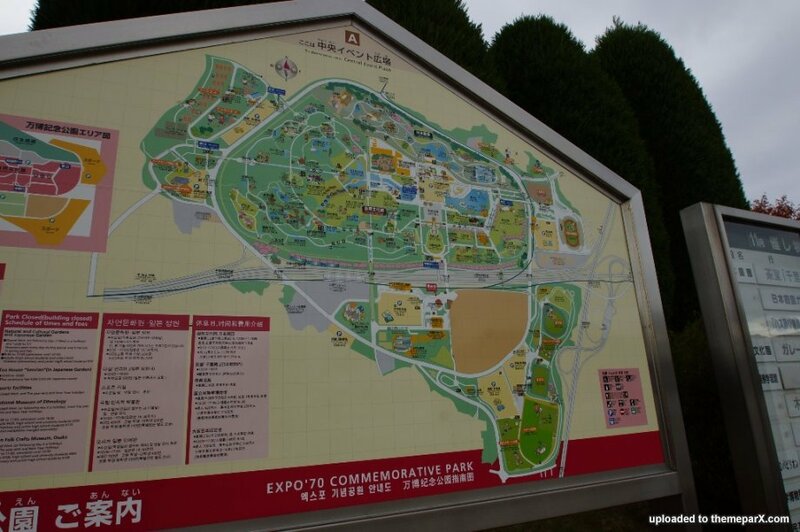 A 2004 plan by Paramount Pictures to build a theme park in the southwestern prefecture of Fukuoka was abandoned because of the high cost, the Yomiuri said. 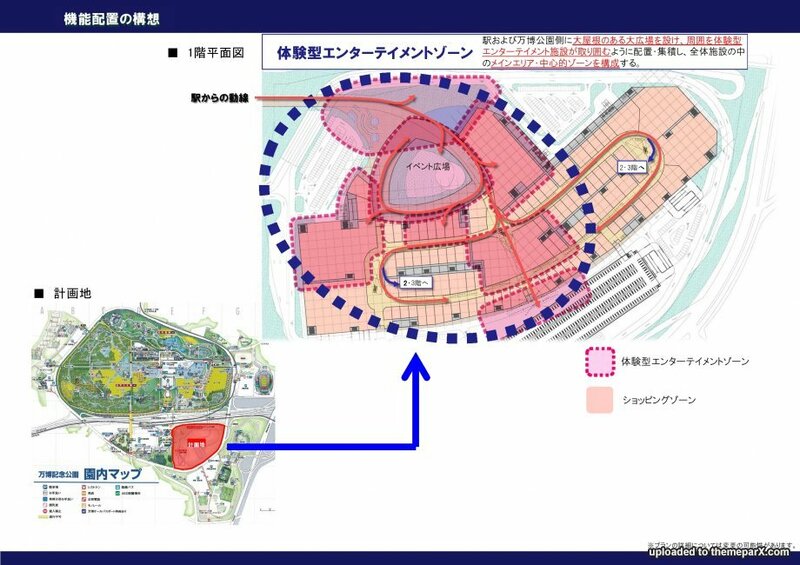 Gamba Osaka, a professional soccer team, is also interested in redeveloping the site to house a stadium, Yomiuri said.